Windows 7 is creating new waves all around the world. We feel that this new baby from Miscrosoft is the next best OS from the time they had launched their (now discontinued) Windows XP. 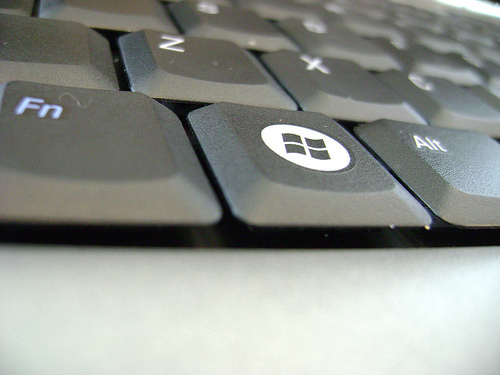 In this article we will tell you about 14 ways in which you could use the Win Key on your keyboard to do things faster in Windows 7. The Win Key (along with a combination of other keys) on your keyboard can now be used to perform a variety of functions in Windows 7. Here we list them one by one. We often use the Win + L key combination to lock screens in case we need to leave our desktops and go around. This gives a level of security to your current work and open windows.